The way doctors have visited with patients has always been malleable. Whereas home visits were common up until the mid-1900s, a shift occurred that brought the patient into the physician's office. These days, we're in the midst of another great transition for the practice of medicine: virtual visits. As you might have guessed, patients and doctors can come together, regardless of where they're located, and use online and video technology to communicate and discuss a person's healthcare goals. But as with any other great leap forward, the move to video visits raises important questions for doctors and patients alike. "In 2015, 450,000 patients were treated via virtual visits." It's important to recognize that, while virtual visits didn't really take off till just recently, they're already being used in a rather substantial way. A November 2015 report from the Associated Press explained that 450,000 patients were treated that year via virtual visits, usually for minor ailments like body aches or the flu. Meanwhile, as Fortune reported in October 2016, 52 percent of Kaiser Permanente's annual patient visits were all done virtually. And it's not just that this is how doctors are choosing to operate. Patients are quite favorable to this unique healthcare approach. Per a January 2015 survey from Harris Poll, 64 percent of patients think video visits are a good idea. Another 17 percent agreed that at nurse line available 24 hours a day is also a great help. 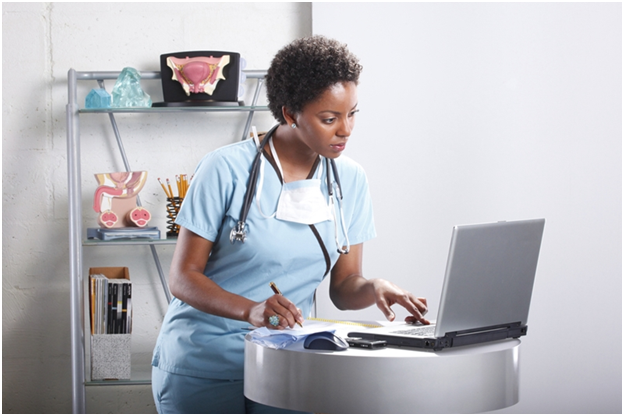 It's easy to see why both patients and doctors would readily embrace virtual visits. As Medscape pointed out, these visits are a great source of extra revenue for physicians. Given that most sessions last 10 minutes or less on average, doctors can see more patients each day, and that aids with overall reimbursements. This dynamic also means a greater sense of flexibility for doctors, and that can help with issues of burnout that have long plagued the community. But there are upsides for the patient as well, as MobiHealthNews pointed out. Patients don't have to waste time in waiting rooms, and they get to remain comfortable and focused on their own routine. As an extension of this, patients have been found to be more engaged with their personal treatment, as tools like screenshare technology make that process a breeze. As with any new technology, there are some downsides to the practice of telemedicine. One of the more obvious is that, as a number of healthcare organizations have found out, virtual visits are only really suitable for those lesser medical issues. As the Cleveland Clinic explained, while the same rules of confidentiality apply in the virtual setting, it can be harder to maintain given the "open" tendencies of video and audio communication technology. And though many patients seem to prefer at least video visits, there is no denying that this removes some of the connectivity that's essential for many others. People who are sick or injured want to look someone in the eye to know they're in good hands, and nothing can ever beat the real thing. Given all of this, it's important doctors and patients work together to decide the appropriate use of virtual technologies. Ultimately, healthcare is a collaboration, one that's only successful when all sides agree on how technology modifies the experience.